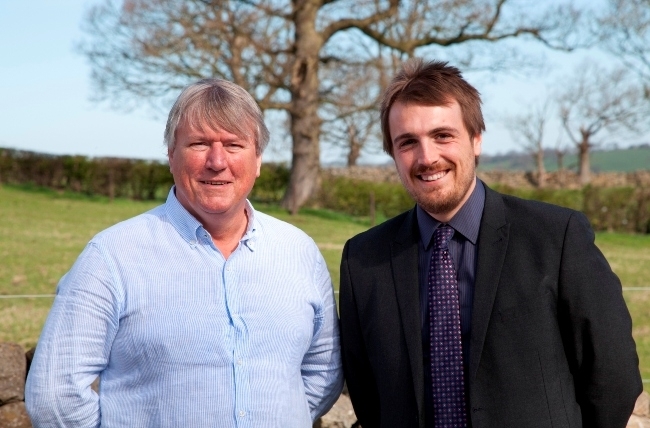 North Yorkshire-based commercial engineering firm Robinsons M & E have announced a new appointment which will see one of the UK’s youngest managing directors take the reins of an expanding £5,000,000 firm. Luke Kitchen, 28, is set to replace Chris Spencer in his current role of MD, from May 2016. Chris is taking a step back from the day to day operations of the business after 33 years with the company and retains position as chairman to assist with the strategic development of the firm over the next couple of years. Having joined Robinsons M & E at the age of 21 and currently operating as commercial director, Luke has helped establish the firm as one of the region’s leading providers of mechanical, electrical and air conditioning services. The business, which was established in 1963 and is based at Hampsthwaite in Harrogate, has a workforce of 56 employees and has recently enjoyed a period of record growth. Prior to his seven years’ service at Robinsons M&E, Mr Kitchen’s previous roles have included finance manager at Kelkay and Trainee Accountant at Naylor Wintersgill. Over the past 12 months, Luke has helped orchestrate the expansion of Robinsons Facilities Services which offers planned and preventative maintenance to commercial businesses. In addition, he has been at the forefront of the improved structure of the firm’s installation services, recruiting more skilled engineers and building long-term relationships with commercial clients. In 2015 the firm recruited 14 new employees across all areas of the business. Once settled into his new role, Luke’s aspirations are clear. He is determined to strengthen all areas of the business around the young, determined team. He said: “This is a very exciting time for Robinsons M & E and I’m relishing the opportunity that my role as managing director presents. I have worked closely with Chris over the last couple of years and know the business and the industry inside out. My new role heralds a fresh new era for the business.